In Rocky Rhodes of Roaring Camp, by W. C. Tuttle, Rocky Rhodes returns home to find his brother accused of murdering his father. In Riders of the Crimson Trail, by Jack Natteford, Billy Bronson witnesses an attempted murder and becomes a suspect himself. 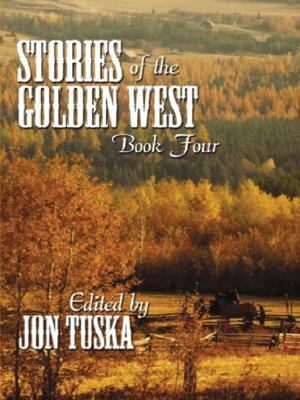 Outlaw Guns by Cliff Farrell finds Reece Rivers breaking his brother out of jail only to be confronted by the sheriff's daughter with a shotgun.Tuska, Jon is the author of 'Stories of the Golden West A Western Trio', published 2003 under ISBN 9780786237852 and ISBN 0786237856.